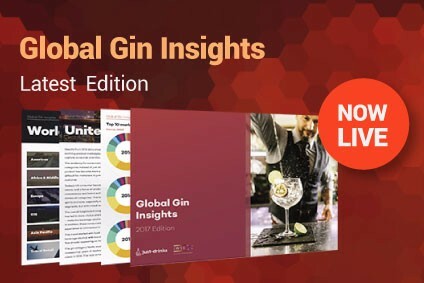 The Cognac market has not surprisingly been affected by the global economic downturn, but, according to a new report from IWSR/just-drinks, Asian markets have proved relatively resilient, compensating for a steep decline in the key US market. The downturn may have been a global phenomenon but Cognac makers can at least be thankful that its effect on their business has not been as severe in some areas than others. According to a new IWSR/just-drinks report, the Asia Pacific region has compensated for a dismal performance in Europe and particularly in America. But the fact that such a key market as the US was at the epicentre of the crisis has certainly not worked in Cognac's favour. 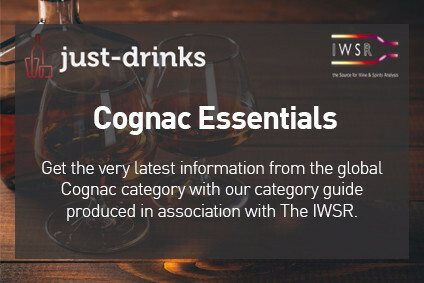 According to just-drinks/IWSR's Global market review of brandy and Cognac - forecasts to 2014, global Cognac/Armagnac sales fell in 2008 for the first time in more than 10 years, from 12.18m cases in 2007 to 11.92m cases. Cognac marketers are quick to point out that 2007 had been a very good year and would have made for a tough comparison even without the onset of the financial crisis. But it is clear that the trend that began to be seen in 2008 continued in 2009, with the report putting provisional total volumes for this year at 11.38m cases, down a further 5% from 2008. In 2008, consumption in the Americas was down by 7.6%. This was mainly due to the US market, which represents 88% of all Cognac consumption in the region, where sales fell by 8.4%, or 327,000 cases, with reductions across all qualities. "The US obviously was the most affected market and western Europe to a lesser extent," says Cyril Camus, chief executive of Cognac Camus. "There are a lot of issues with eastern Europe and Russia in particular, where the lack of liquidity in the trade really impacted the entire supply chain from the retailers to the wholesalers, distributors and importers." The US market was also reported to be one of the markets most affected by consumers trading down. "The main markets most affected by trading down are the US and Russia," says Pascal Fillioux, president of Cognacs Jean Fillioux. "You have to remember than in the preceding two years they were two of the best markets with a high degree of consumer trade-up. We are just back to where we were. We still have big hopes for these countries." The story in Europe was not as bad as the US but still fairly bleak. European shipments fell by 3.4% with Europe accounting for seven of the ten fastest-falling markets. The only pockets of growth in 2008 were Russia and Denmark, and since then, the report states, Russia has also gone into sharp decline owing to adverse economic conditions. The better news appears to be coming primarily from the Asia Pacific region, which was Cognac's best-performing market overall in 2008, rising by 3.9%. Regional consumption overall increased by 94,000 cases, with China registering the largest growth of 97,000 cases to reach 1.56m cases. However, Japan continued to suffer heavy losses, down from 190,750 to 154,500 cases. The economic downturn in Western markets is hitting luxury products harder than expected and Cognac sales in important markets such as the US and UK are suffering as a result, the report states, and the major Cognac houses have looked to Asia to maintain sales. Cognac's governing body, the Bureau National Interprofessionnel du Cognac (BNIC), believes this resilience demonstrates the advantage of Cognac having a global presence, evenly spread through all regions. Cognac derives roughly one-third of its sales each from Western Europe, the US and Asia. 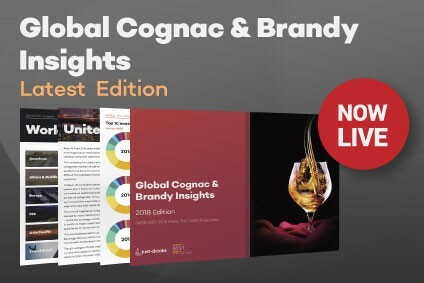 "This leaves the Cognac industry very well-balanced to manage the risk, even though it is a global crisis," says BNIC chief executive Jerome Durand. Based on the forecasts in the report, the Cognac industry may have to rely on growth being generated in some of its Asian markets for some time to come. The report forecasts that the US market will fall from 3.56m cases in 2008 to 3.27m cases in 2009. The downward trend is set to continue into next year, with sales of 3.16m cases forecast for 2010. The market is only forecast to begin to recover in volume terms by 2013 and 2014, when shipments are predicted to rise to 3.20m and 3.25m cases respectively. China, meanwhile, is tipped for steady growth. Final volumes for this year will be in the region of 1.58m cases, up from 1.56m cases in 2008, with volumes set to rise to 1.60m cases in 2010. By 2014, the Chinese market will have risen to 1.75m cases, the report forecasts. Other Asian markets expected to grow between 2010 and 2014 include Malaysia, Indonesia, Taiwan and Vietnam. Travel retail, the fortunes of which are closely tied to the health of Asia Pacific markets, is also forecast to grow, reaching 1.63m cases by 2014, against its current level of 1.26m. However, in contrast, core European markets are expected to register declines. The UK, for example, will fall to 809.8m cases in 2008 to 793.8m in 2010, declining to 759.0m cases by 2014. France and Germany, Cognac's fifth and seventh largest markets respectively, are also forecast to fall. Still, in spite of the anticipated declines in Western Europe, the global Cognac market is forecast to rise over the review period, from 11.38m in 2009 to 11.88m in 2014, underlining once more the benefit of its global profile.